With Highways & Byways public play-testing fully underway, I’ve got the delightful advantage of having never had a “no-show event.” I had a lot of those when I was creating War Co. and trying to get people to play with me on Tabletop Simulator. A lot has changed since then, but the biggest factor here is that I have a much stronger network. Let’s define something real fast. A network is a group of people who either care about you or about what you’re doing. So what does my network look like? I’ve got a lot of networks that coalesce into a greater whole. I’ve got an active Discord server for game developers and other creative people. It’s got 773 people in it last time I checked. I grew it by asking people individually if they wanted to hang out with other creative people. I also use Twitter and Instagram a lot, but especially Twitter since it’s more conversational. Even when I’m not active publicly, you can bet I’m talking to people behind-the-scenes via direct messages. Pay attention to people’s true desires. This is Dale Carnegie stuff right here. It’s nothing new. I didn’t invent these principles. I’m simply here to remind you to pay it forward when you create a network of board gamers. You need to actually add value to people’s lives, and the best way to do that is to be positive, genuine, friendly, in tune with their desires, and caring. People are smart and they’ll see right through you if you’re just trying to make a sale. If you try to make their lives better, you will generally be received in a positive light even if you’re not charismatic. Let’s get down to specifics. You want to know how to easily reach out to others so that you can build an authentic following of board gamers who want to help you succeed. You also want to reach out to reviewers, bloggers, podcasters, streamers, experienced game devs, and myriad others who can assist or teach. Here are five ways you can do that. You don’t have to do all five. Pick one and try it out for a few weeks and see if it’s a good fit for you. 1. Jump into board gaming conversations on Twitter. Twitter may be the one place in the world where it’s okay to jump into the middle of a conversation without it being weird. In fact, the medium encourages this behavior. Follow some people you’re interested in. You can find people to follow by looking at the people who follow sites like Board Game Geek or popular board gaming podcasts. Once you follow people, read through your timeline and start replying to others with friendly comments. You want to jump into board game related conversations. This is a good way to get followed back, and the fact that you’ve started a conversation opens the door to further conversations down the line. 2. Browse the #boardgames tag on Instagram and leave friendly comments. Similarly to Twitter, Instagram is a hive of activity for board gamers. A lot of people post pictures of games in their collections. Browse the #boardgames tag and find pictures games that you have played and enjoyed. Like and comment on the photos to start a conversation. You might make a new friend this way! 3. Find Facebook groups for board gaming and participate. Facebook is the most important social network and it will probably remain that way for a long time. While you can reach out to board gamers by sending friend requests, I think the best way to approach Facebook is to get involved in board gaming groups. Use Google and Reddit to find board gaming groups that you’re interested in joining on Facebook. Request to join and then start talking to people there. 4. Play-test other people’s games. Play-testing is a really valuable service and providing that service is one of the best possible things you can do for a game dev. This is time-consuming, and I admit that it’s not something I can do a lot. However, if you do have the time to do it, play-testing will make you friends not only with experienced game devs who can mentor you but also other play-testers who might test your games in the future. Keep an eye out for opportunities to play-test by monitoring Board Game Geek and relevant Facebook groups. Last but not least, cons are one of the most reliable ways to network. You can’t spend very long at a con without running into another gamer. Opportunities to make new friends and help others out abound. 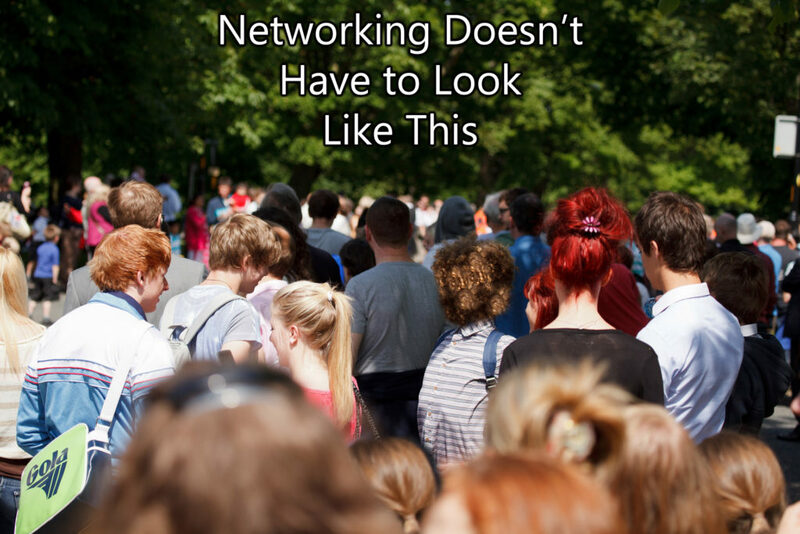 It’s expensive and time-consuming, but many people believe this is the best form of networking in the board game industry. Highways & Byways public play-testing has gone well. I’ve gotten single-blind play-tests with players from the United States and abroad. I’ve opened up the Highways & Byways play-test version to my Steam friends. You can access it by adding “superfzl” as a friend on Steam and adding the Highways & Byways workshop item. I’ve rebalanced the Event Cards a little bit so players don’t get so many “don’t move” events in the game. The board has been cleaned up slightly. James has developed construction card art. He has more art in the works. I’ve requested two manufacturing quotes – one from Long Pack Games and one from QPC Games. It may take some time to receive responses. Great article ! Any possibility that I can join one of your play testing sessions? The next game takes place 5 PM EDT through Tabletop Simulator tonight.